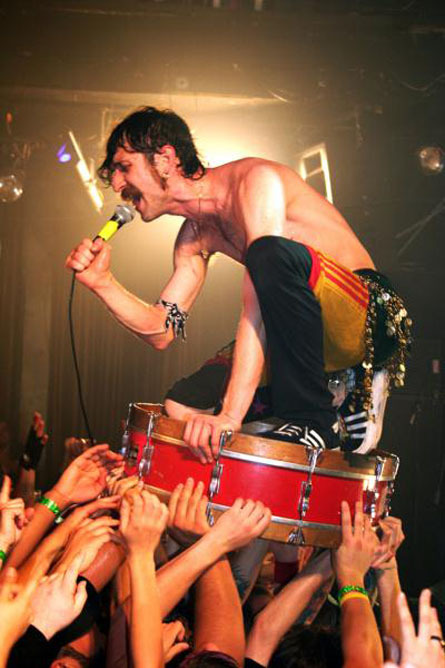 Every band has a moment in the show where they peak. Maybe the big pyrotechnics go off or the lead guitarist jumps off of an eight foot high stack of Marshall amps. Or maybe the big light extravaganza blinds you for sixty seconds. Maybe the lead singer has all of the lights turned down and sits soulfully on a lone stool with his acoustic guitar with one white spotlight focused on him and in his vulnerable moment he sings his song just for you in a touching high school crush kind of way. 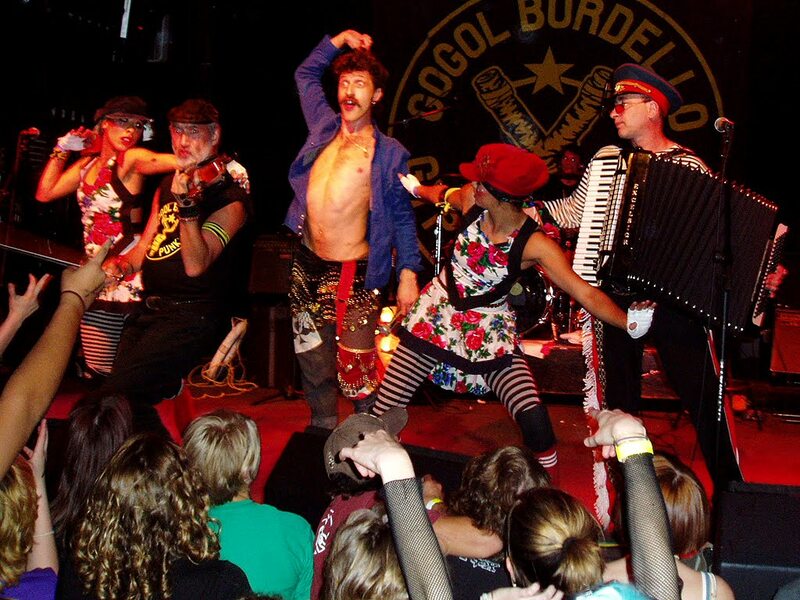 Gogol Bordello is different. They came out high energy and exited the stage high energy. And everything in between was a huge burst of high octane, heart pounding, accordion induced excitement! It was as if their entire show was one big jump from the top of a Marshall stack. I believe that they left it all out there on stage. They didn't save a thing for later. They went big and pulled it off. They didn't follow the Rock and Roll formula.There was no pretense; just loud and lively gypsy punk. Everyone danced and sang along. I don't think that you could have stayed still if you wanted to. Their energy was infectious. 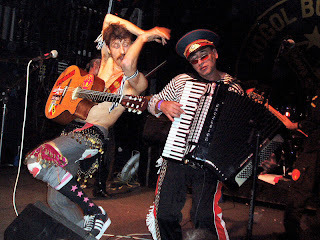 Their music is truly unique. And it also makes for great driving music. If you get the chance to see them; go see them. The CD's are fun, but I didn't really "get it" until I saw them live. Seeing them has changed my mind about what a concert should be.